Primetime television refers to the block of time when audience viewership peaks for programming during a defined period of time. In the United States, it is traditionally 8:00 p.m. until 11:00 p.m. Eastern Time in the evening, when most people are home from work and catching up with the news or their favorite shows. While the traditional 8-11:00 p.m. block is considered prime time, modern audiences have begun to shift away from the schedules of previous audiences. During Mondays through Fridays, Americans tune in the most between 9:15 p.m. and 9:30 p.m. Viewership is lowest at the end of the prime time slot, around 10:45-11:00 p.m. Men and women tend to have the same viewership patterns, but age plays a large factor in timing. Viewers 18-49 tend to tune in during the latter part of prime time, while viewers over 49 usually tune in earlier. Television stations run only their most successful, or most likely to be successful, programs during prime time. Late-night talk shows, dramas, and reality television programs tend to do very well in these slots. Because of the higher rates in viewership during the prime time block, it is the most in-demand spot for advertisers as well. The cost to run a commercial during prime time is several times more expensive than non-peak hours, such as mid-morning. Shows have short windows of opportunity to prove themselves. Because the time slot is so valuable, networks cannot afford to have a show during prime time that does not encourage viewers. If a show begins to slide or never connects with audiences compared to its competition, it will be promptly canceled and replaced with another program. In recent years, prime time has seen some distinct changes due to technology. Services like Netflix and Hulu have changed how people watch television. Instead of waiting for the next episode of their favorite show on a certain day of the week, people instead now binge-watch entire seasons in one sitting. People used to make plans around their favorite shows. If they missed their favorite prime time program, they had to hope for a rerun. Now, people can watch shows whenever they like and catch up on episodes they miss. This has made it more difficult to track audience viewership and attract advertisers. Networks are trying to catch up and change their business models by expanding how they run prime time shows. By offering popular shows via on-demand service, networks can still include commercials and limit people from fast forwarding. This is an attractive option for advertisers, as they then have a guaranteed audience. They also are turning to product placement in shows more often, rather than commercials, to replace the income they lose from a lack of commercials. By featuring products as part of the show, they can feature advertisers discretely. Primetime is an essential time slot for both networks and advertisers. It's where advertisers want to place their products and where networks make most of their income. 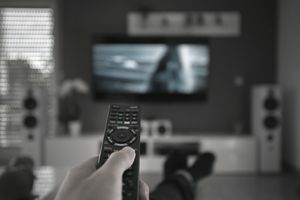 However, tracking viewership remains difficult, and primetime programming is increasingly turning to of-the-moment shows, such as reality television, to attract audiences in real time.